Last year, the San Diego Union Tribune’s Editorial Cartoonist, Steve Breen, and Editorial and Opinion Director, Matthew T. Hall, visited La Jolla High School after a racist cartoon was published in the Hi-Tide student newspaper. Ironically, both Breen and Light have since apologized for a racist cartoon the Union Tribune recently published. While both the Hi-Tide and the Union Tribune were in the wrong for publishing offensive cartoons, it was hypocritical for the Union Tribune our criticize La Jolla High’s paper for something they did nearly one year later. 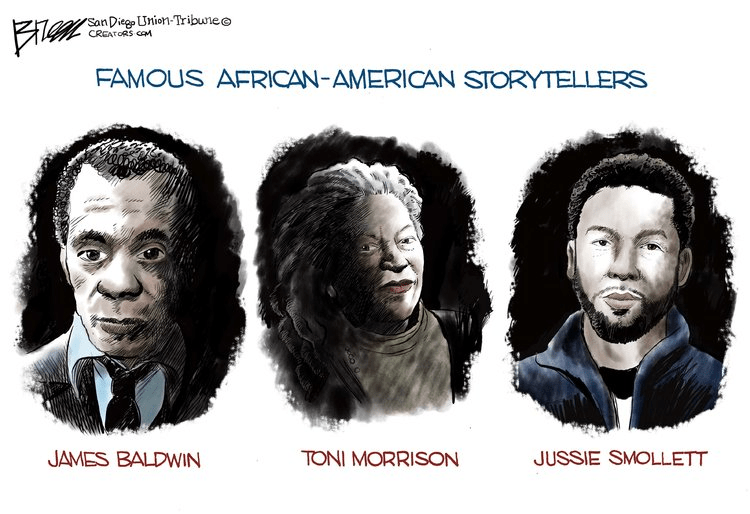 On February 17, Breen published an editorial cartoon depicting two respected African-American authors, James Baldwin and Toni Morrison, in the same light as actor Jussie Smollett. Smollett has been in the news due to accusations regarding lying to the police and posing as the victim to a racially motivated hate crime. Under these circumstances, the cartoon caused major controversy and has since been removed from the Union-Tribute’s website. The newspaper’s editors should have been more mindful of advice they have given in the past after having the right to do so in the first place. While the Union Tribune critiqued La Jolla High School for mistakes in what content is published can help the Hi-Tide, it is also important for those critiques to be implemented into the works of the Union Tribune itself. Hypocrisy like this can make future advice and criticism to be taken less seriously.